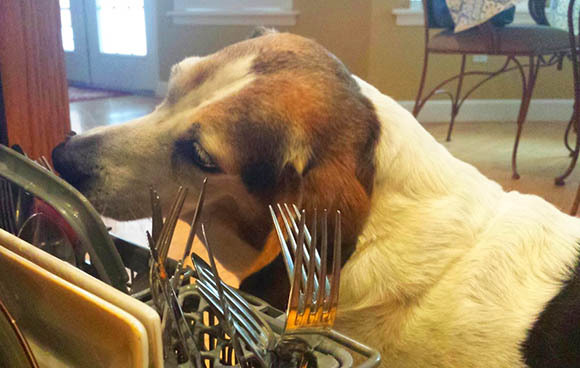 It never fails, as soon as I step out of the house to run errands, go out to dinner or walk to the mailbox, my handsome (and very silly) hound Wilson, makes a scene. He howls at the top of his lungs a sad, sad song of missing his Mom. It's pitiful really. 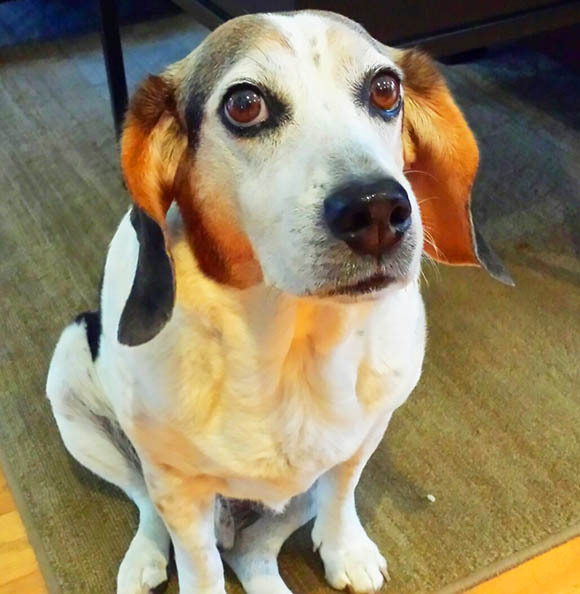 Wilson came to us via the Tampa Bay Beagle Rescue back in December of 2013. 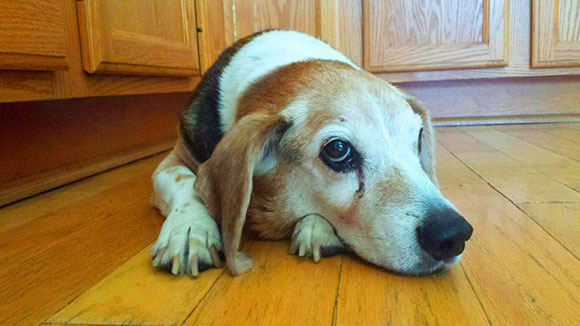 He was a sweet, gentle, charismatic beagle back then and his howling routine was one of the things he showed off in the early days on the Dirty Dog Ranch. He sings when a siren passes by, he sings when Mommy leaves the house, and he even sings in his sleep (a video I haven't captured yet) . 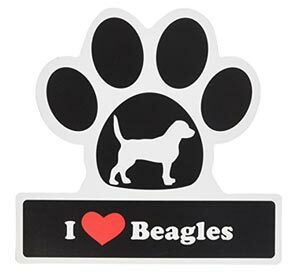 . . all of our beagles on the DDR have quirks and particular traits, but Wilson is probably the most vocal. Wilson is our most curious beagle. He's really the "welcome committee" around here. We just brought home these six cute little chicks (ranging from 4 - 8 weeks old), and he's been pacing outside of their coop ever since. I'm not so sure whether he just wants to meet them or EAT them? He sits out front of the coop almost all day long. This is Wilson's usual behavior whenever we meet a new critter. We've met turtles, cats, kittens and armadillos, and once he is able to meet them face to face, he's like "humphf, okay . . . that's it, on to the next thing." It's the not-knowing and the not being able to sniff it out that I think gets him worked up. The chicks have to stay in the coop until they're much bigger, but once they reach 24 weeks, we'll start to let them out to roam the Ranch. Hopefully, he'll have his fill by then? Who knows? This will be entertaining and I will keep y'all posted!